Is bartending employment right for you? 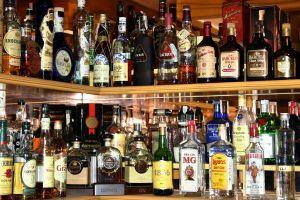 There are many job options for people who wish to pursue bartending employment opportunities. Working as a bartender can be quite profitable for the right person. To succeed in this occupation, you need to be personable, outgoing, and enjoy working with people. A major portion of a bartender's income comes in the form of tips rather than from salary, so having the right personality can be key in this line of work. It's important for bartenders to be detail oriented, particularly when it comes to keeping up with patrons' tabs and verifying that alcohol is served only to people over the legal drinking age. Bartenders also have to keep an eye on the behavior of customers, at times having to make decisions to discontinue serving intoxicated individuals or insisting that certain patrons not drive themselves home. There is a minimum age requirement for working as a bartender. To be employed in this type of position, individuals must be at least the minimum drinking age, which is 21 years of age throughout the United States. In most cases, bartenders have to work evening and weekend hours. Even in locations that staff bartenders during day shifts, the most lucrative working hours are during the evening. In many cases, weekends also provide better earning potential than shifts during the week. Some companies hire primarily full-time bartenders, while others have opportunities perfect for those seeking part time jobs. Individuals who work in this occupation have to be willing and able to perform physically taxing work. Bartenders have to be able to stand for extended periods of time, as sitting is typically not allowed during shifts. The job also often involves lifting and stocking cases of beer, wine, and liquor. Many people step into bartending roles from server positions. They primarily learn the trade on the job. Others complete formal career training programs designed to prepare them for careers in bartending. There are no specific licensure or education requirements for entry into the profession. Some employers require formal training and/or experience, and others are willing to provide on the job training for the right applicants. If you're interested in going to work as a bartender, it's a good idea to seek training in the field. Participating in formal training programs will provide you with the skills that you need to be considered as a viable candidate for employment. Additionally, participating in a bartending employment training program will demonstrate to prospective employers that you are committed to pursing a career in this field. You can take bartending classes online, or attend classes at a training center in your area. If you're interested in pursuing online training, you might find that Professional Bartending School or Universal Class offers a program that meets your needs. If you want to find a bricks and mortar educational program, check your local yellow pages to find a bartending school near you. ABC Bartending has locations throughout the U.S., and provides graduates with job placement assistance. In addition to learning skills specific to performing the most visible job duties involved in bartending employment, it's also a good idea to complete an alcohol safety training program prior to beginning your career. This type of education will provide you with information about how to recognize intoxication, prevent drunk driving, and avoid serving liquor to minors. There are always job opportunities available in the field of bartending. If you think bartending employment is right for you, the first thing you'll need to do is consider the type of environment in which you'd like to work. Update your resume so that it emphasizes those aspects of your background and personality that make you a viable candidate for this type of job opportunity.